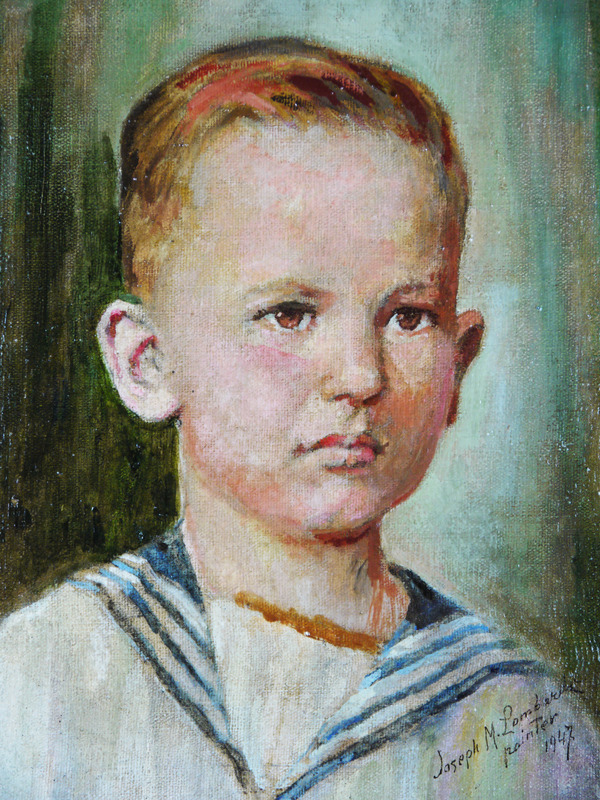 Offering a portrait of a handsome little fellow in a sailors outfit. 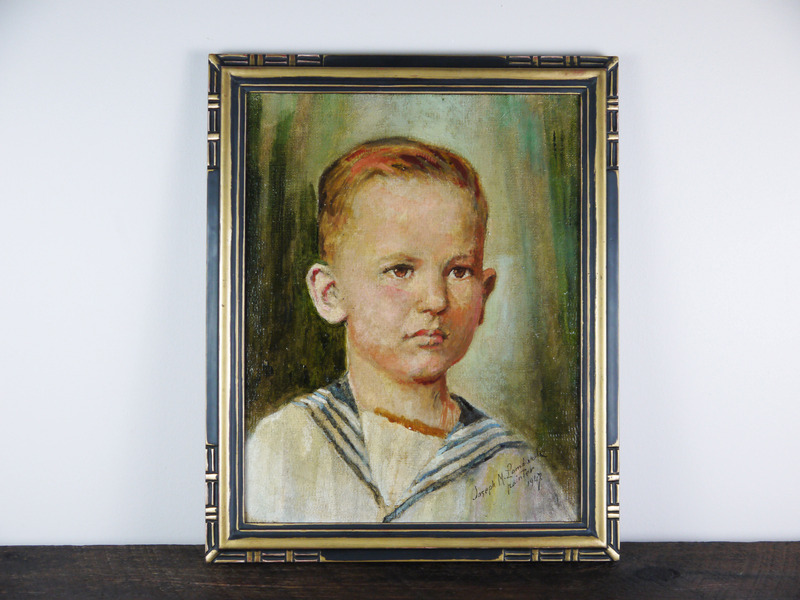 Painted in 1947 and shows very well in it’s original Art Deco frame. The painting style is loose and comfortable. Great use of light and shadow. The colours are bright and the surface is clean. No noticeable cracks or rips in the canvas. A very well painted portrait with a natural sparkle in the subjects eyes. There is some texture to the paint surface, as the painting was done on a textured canvas. Will ship by UPS insured for the full sale price within the US.